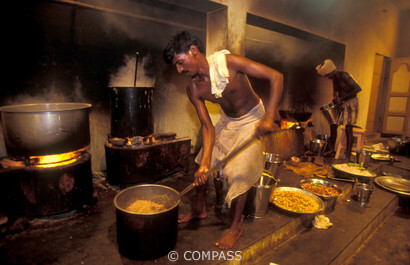 A tiny village of South India, Kalayur is known as “The Village of Cooks”. Most of the men of the village are famous cooks. Their specialty: Banquets for 2.000 to 10.000 guests. They are so popular all over the country that their services must be booked several months in advance.